Looks like we have another option here for Malay Food that is popular among the district over here. To my surprise, I realized the long queue while we were lining up to purchase our breakfast dishes. 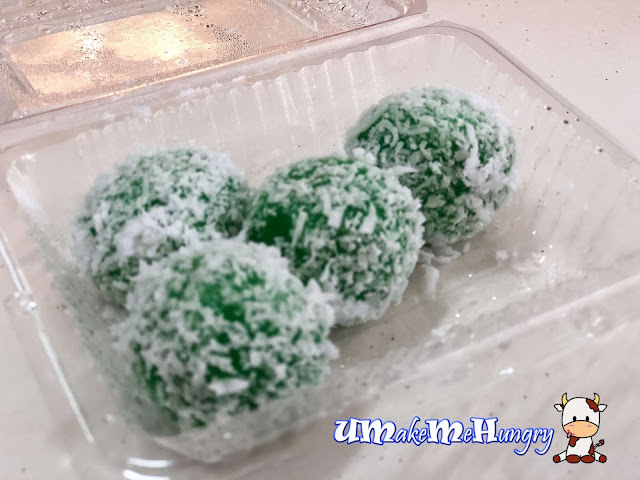 Besides the usual dishes, they are also selling Kueh ranging from $1 to $1.20. We bought the Ondeh Ondeh and felt it was nothing out of the ordinary. The fillings did not have the oozing feel once you bite on it and in fact the "skin" was rather thick and texture was not to our liking. Mee Rebus came in generous portion and was strong in prawn taste. 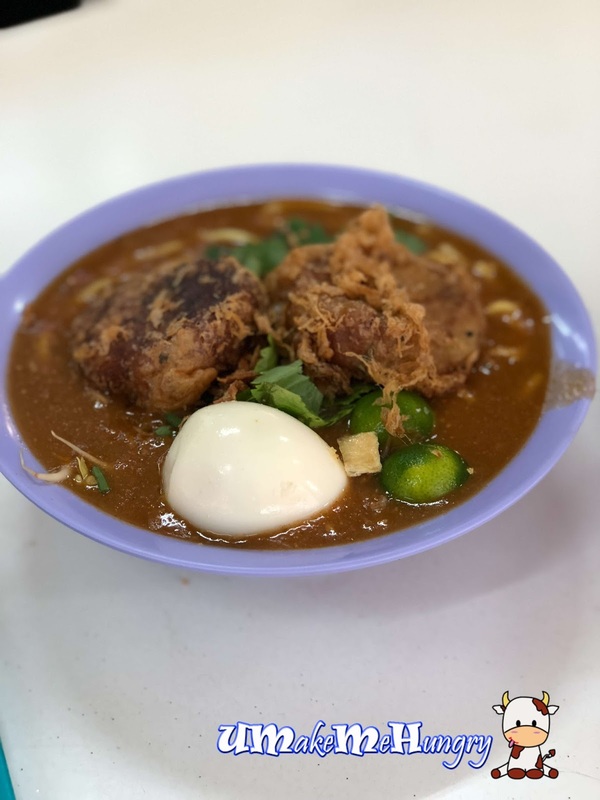 It is topped with condiments like fried shallots and coriander. We told them to remove green chilli. 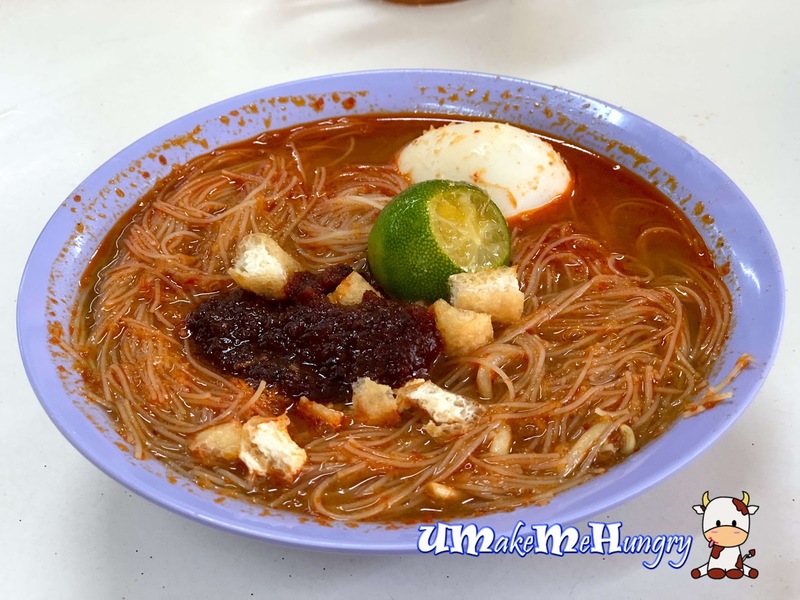 If you realize, their Mee rebus, Mee Siam were all served in bowls instead of the usual plate we seen in most plates. Squeeze some lime juice over and mix the tangy gravy with sambal chilli together and savour them up. 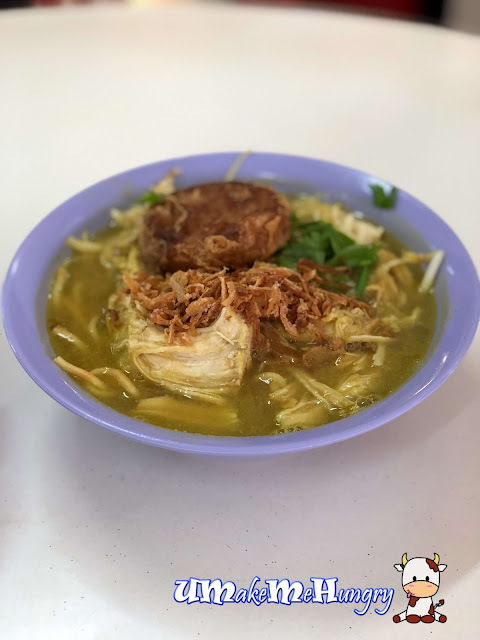 At the price of the Mee Soto, I will say its value worth for money as big chunks of chicken was given and gave me a filling stomach over the breakfast. 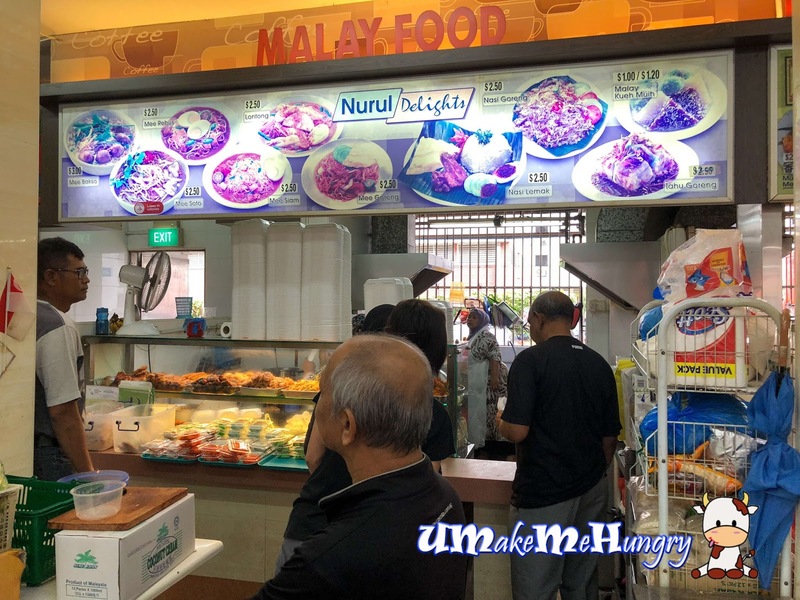 We topped up the original $2.50 portion with $0.50 for a piece of bagedil. Chicken soup was murky and noodles were soft enough. 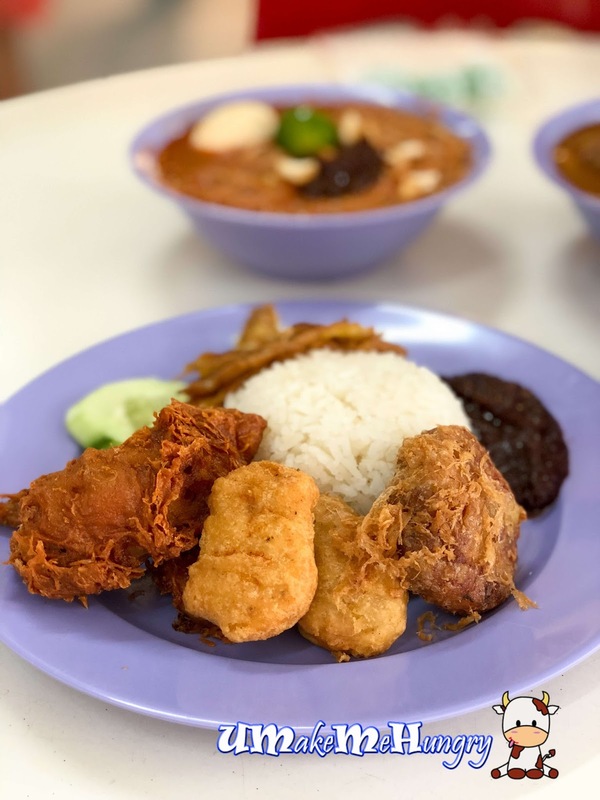 The reason why people faithfully queue for the Nurul's delight is perhaps this plate of fragrant Nasi Lemak that cost $2.50. 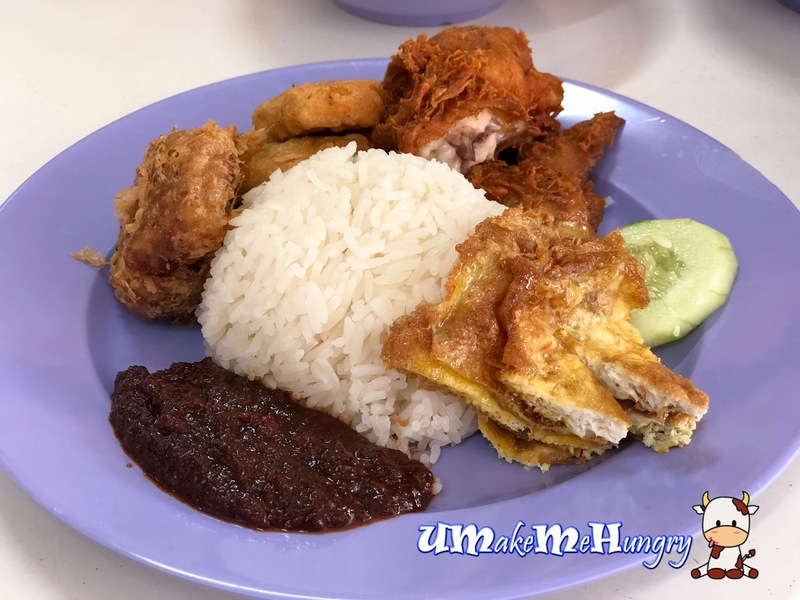 The Nasi Lemak is upgraded with chicken nuggets as well as bagedil. The sambal chilli is commendable as it smells good in its smoky, sweet-spicy goodness. With inflation, most of such dishes are already priced at $3 as the minimum but still in the neighborhood of Bukit Batok, we are lucky to have found such pocket friendly dishes. Out of all food ordered, it generally explained what the crowd is there for. I will strongly recommend to try their Nasi Lemak as priority even though I am not a fan of rice.